I am in full Valentine’s Day mode at home and in my shop. Lots of elegant romantic cards and fun cute kids Valentine’s. I’m also working on gift boxes for sweets or the perfect piece of jewelry. I usually try to keep my cards flat so they mail easily, but with boxes…..let the 3-D embellishments roll! 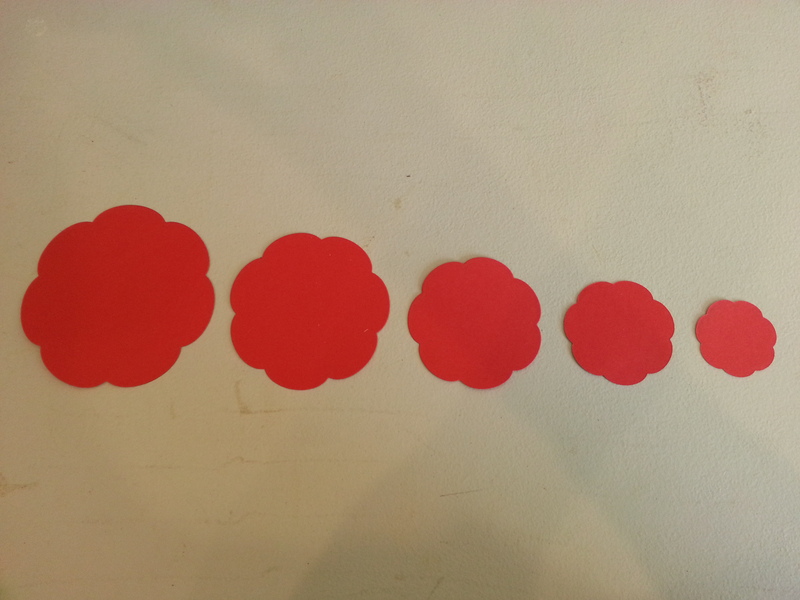 I started playing around with one of my favorite flower dies and some pretty red cardstock. 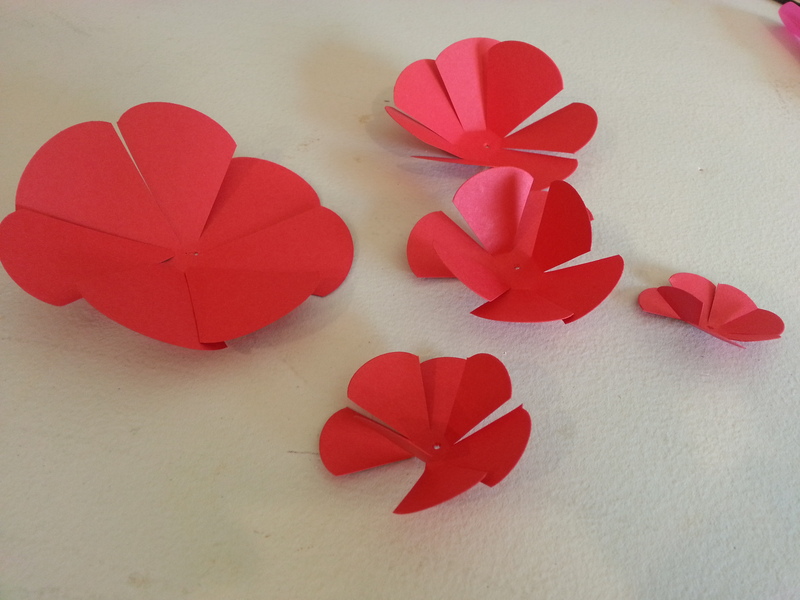 I have used this die to make flat stacked flowers and they look great, this time I added some height. How pretty is this! Read on for a step by step guide. Any round scalloped nestable die will work for this project. First cut out each size of your die. Next you will cut the petals. 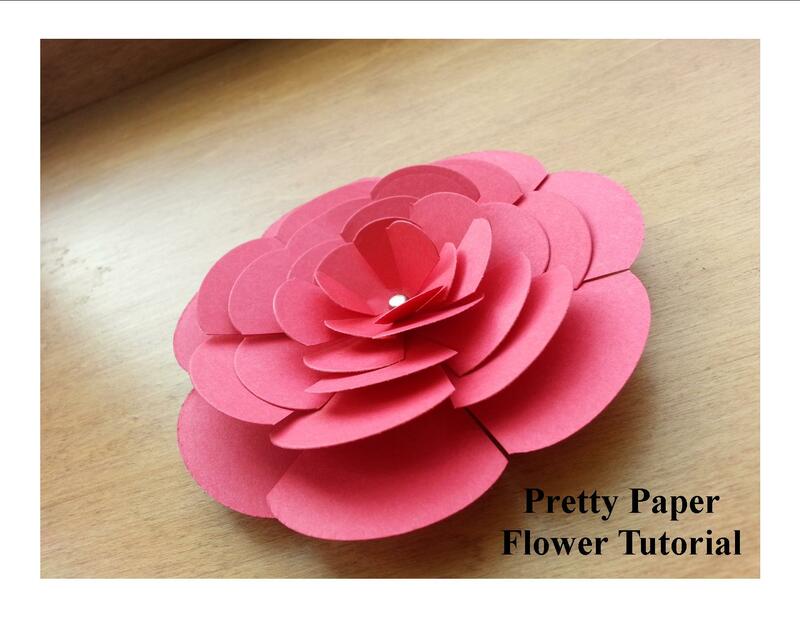 For this step used a pair of scissors to cut each petal almost to the center, you want to leave a small space in the center of each piece. Now take each flower and bend the petals in a bit, you will do this more after the flower is together but this makes the final step easier. 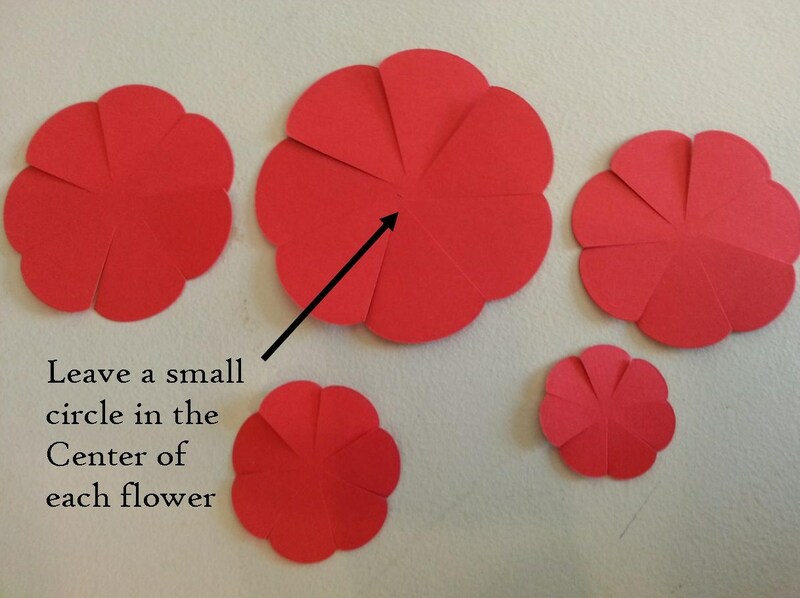 From here you will stack your flower, largest to smallest. Once together pierce the middle then insert and secure a brad. 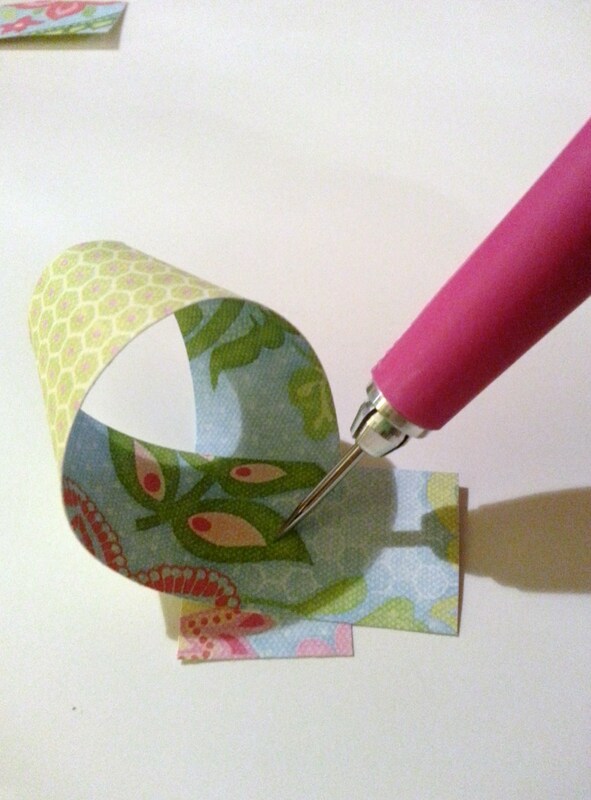 Once your flower is assembled you can play around with bending up the petals until it looks just right for your project. Next I wanted to create a fun bow for the top of a box. 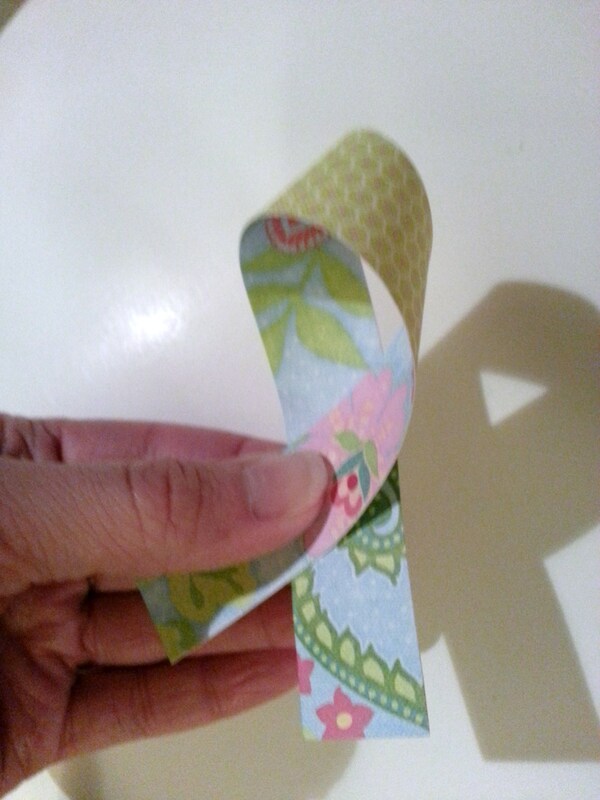 I used the idea of an old-fashioned gift bow. I remember making these with my Grandma using satin ribbon and a little plastic tool. Today I used paper and this is how it turned out. I cut my strips of paper in 2 sizes. You can alter the size depending on how big or small you want your bow. 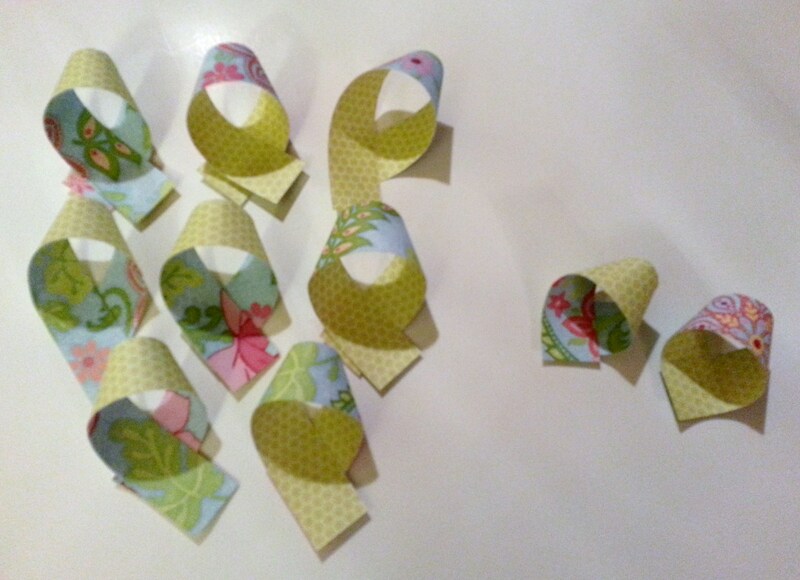 Next I formed the loops of the bow. I looped each piece and taped the back to secure. Once secure I trimmed one tail, in the picture below I trimmed the tail on the right to be flush with the loop. Next I pierced each loop to make inserting a brad easier and cleaner. These are all my loops, ready to be assembled. I started with the 2 smallest loops. I put a brad in the first loop and added additional loops underneath until I achieved the right fullness. 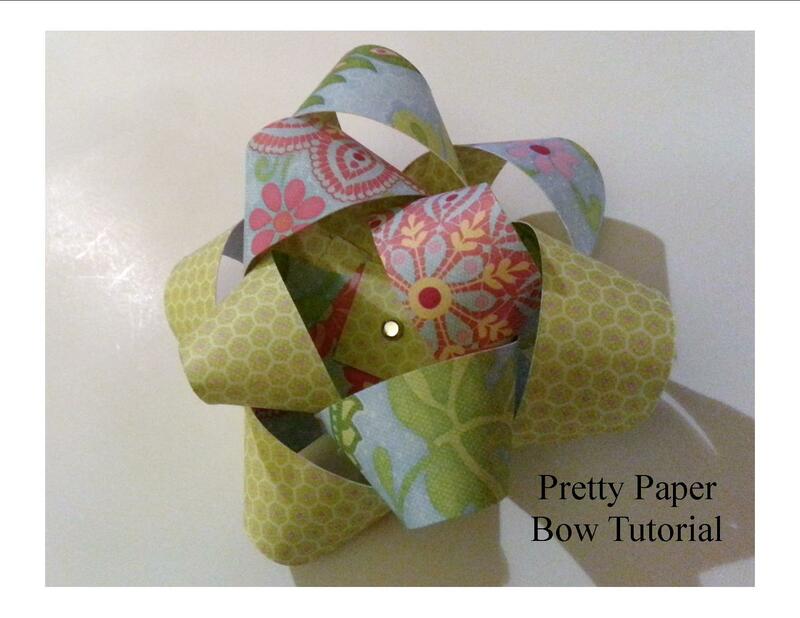 And there you have it, a pretty paper bow for your next project!